This looks like some 3D rendering of a fantastic alien matter that can't possibly exist on Earth. 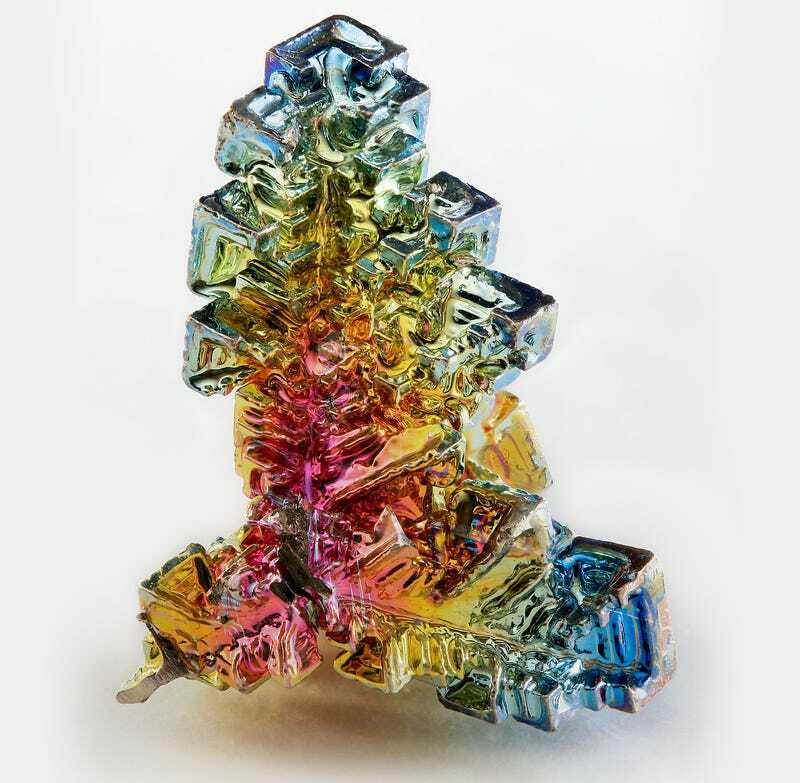 But, being the amazing planet we live in, it is actually a real thing: "A bismuth crystal illustrating the many iridescent refraction hues of its oxide surface." We live in a wonderful world, people.